Chinese researches at the South China Normal University have developed various colored inks, including cyan, magenta, yellow and black inks, which can yield any combination colour when stacked on top of each other in a layered structure. The technology is based on electrowetting, the same type of technology that Liquavista developed. 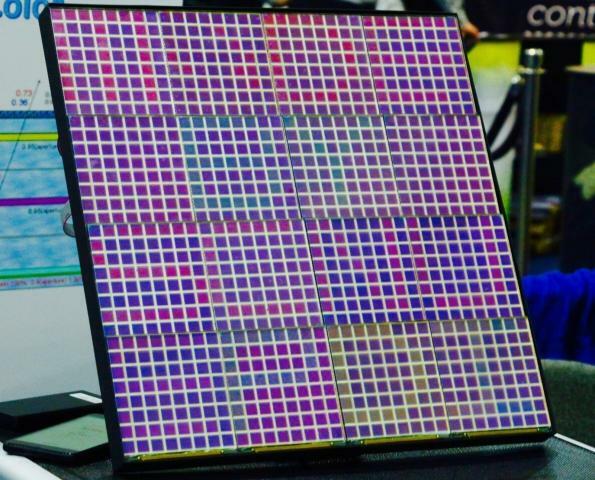 It is able to display a resolution of 32×32 pixels over a 1cm 2 each on a 40x40cm tiled e-paper outdoor billboard and was recently demonstrated running at a refresh rate of 50Hz, exhibiting a variety of colours and coloured video content. According to Professor Alex Henzen, the core member of the SCNU team and technical leader on e-paper, outdoor billboards made of such an electrowetting based reflective e-paper technology would take up less than 1% of the power consumption of LED and TFT-LCD displays of a similar size, making the new technology very attractive for the digital signage market.